Women bring something special to ministry; their femininity, their strength and their nurturing nature. That’s what makes their role so important. Today more than ever women in ministry are complaining about the boxy, shapeless shirts on offer. Why should a woman’s style go from stylish and elegant, to manly and boxy, when she is dressed in her clerical attire for ministering? Her ministry is a reflection of her God individuality, clothes speak for us before we do. 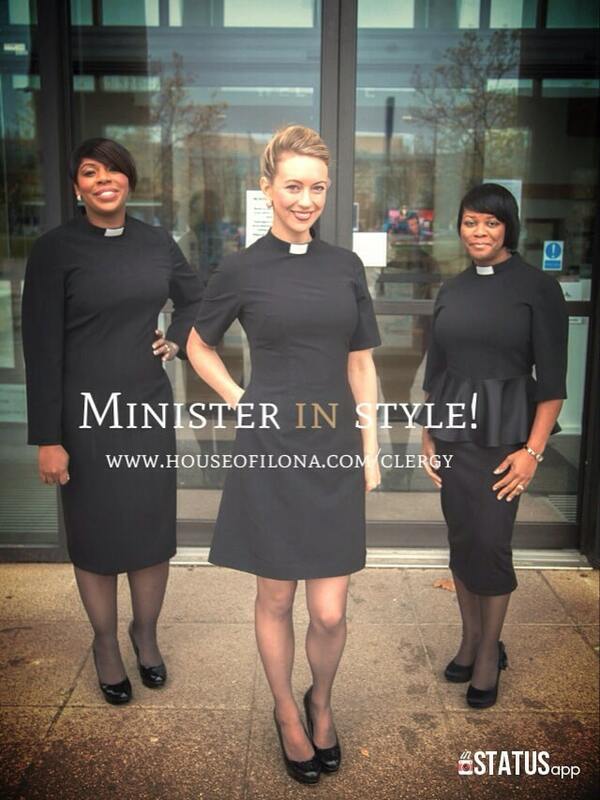 Clergy wear can finally say I’m a minister, a woman and yes, I’m stylish too. It all started when a recently ordained friend of designer Camelle ilona Daley was troubled at the thought of wearing a clergy shirt and asked the designer to make her a dress instead. The dress was a hit! Camelle added the dress to her website and the range has been a success with hundreds of clients from across America, Canada, the UK and the world. All collars are removable so dresses can quickly change from a classic black dress into clerical attire by simply popping a collar in place. It’s so clergy and at the same time it’s so you! This entry was posted in Blog and tagged @camelledaley, christian fashion, church dress clothing, clergy, clergy clothes for women, clergy collar women, clergy dress, clergy wear, clerical dress, designer preaching dress, ministry dress, ministry wear, women in ministry. What would Queen Esther wear… to minister?